This private, members-only beach is part of the Nautical Club of Vouliagmeni and was founded in 1937. "The great thing about Athens is that even if you are a member somewhere, the vibe is very family-style," Sofia explains. 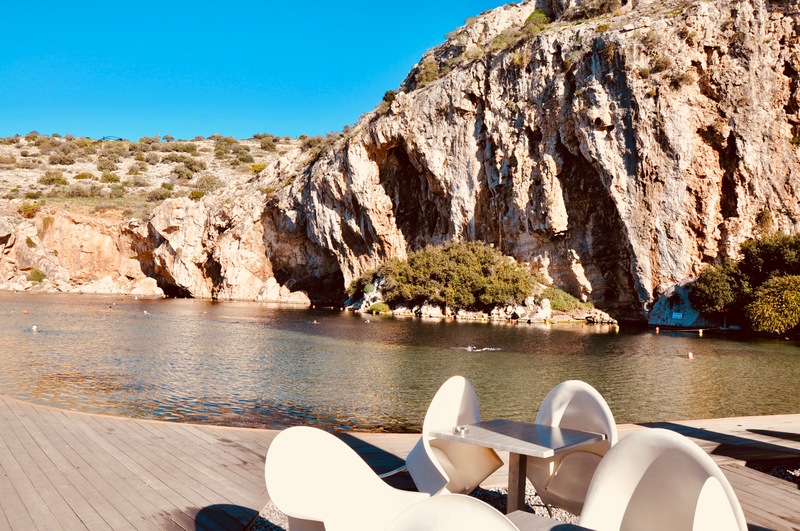 Located in the heart of Athens, Omilos Vouliagmenis is surrounded by cavernous cliffs and the shimmering Mediterranean sea. Non-members can pay a daily entrance fee and can also enjoy the on-site restaurant, Omilos. Described by many as the best Italian in Athens, Tony Bonnano is a must when you are craving cuisine that deviates from the traditional. 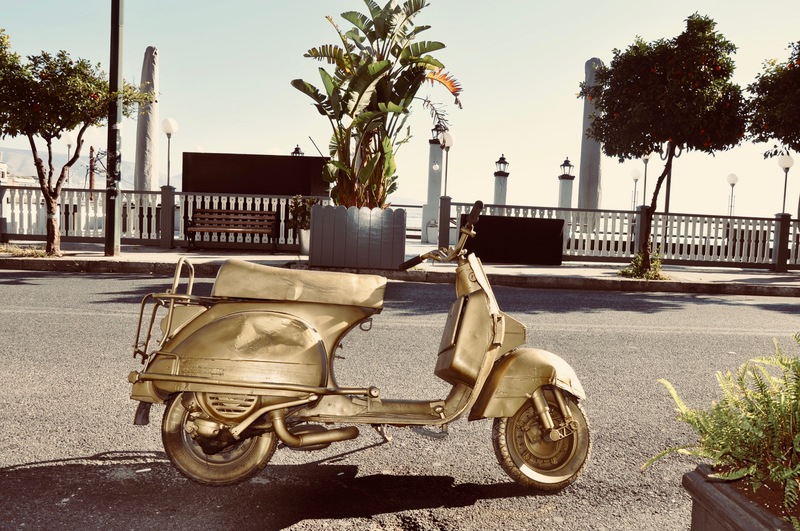 The restaurant owner collects vintage pieces, like the motorcycle sculpture pictured above that is stationary in front of the eatery. In the summer, it's the perfect place to sit outside and take in views of the sea and boats. Sofia says the restaurant has "the best pizza," which says a lot as, as she currently lives in New York City and knows her pizza. At the base of the Acropolis is the village-y neighborhood of Plaka. 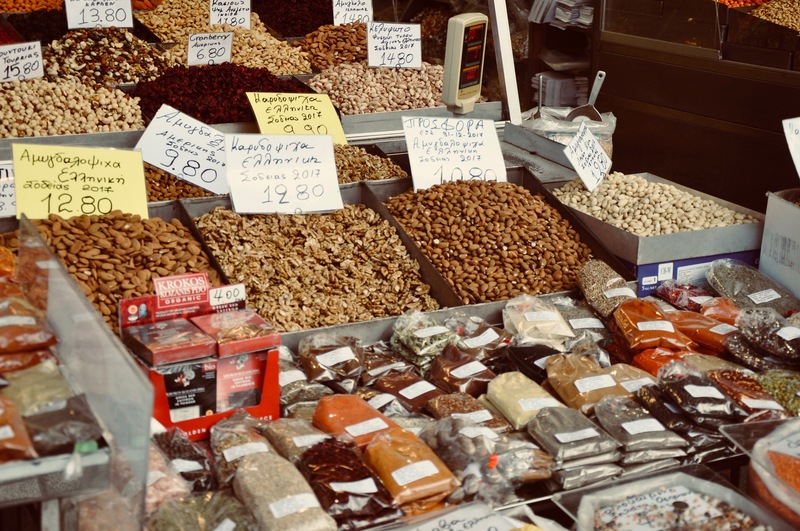 Streets are filled with mini shops, sidewalk cafes, family-run jewelry shops and markets selling everything from fresh fish and meat, to spices, nuts and seeds that you can buy in bulk. "It's a mansion - huge," says Sofia of the indoor buildings in Plaka, a market brimming with a myriad of colors Sofia finds "fascinating". Get lost in the streets and you'll find yourself stumbling on unique antique treasures and picturesque food stands. This is the place to stay in Athens, according to Sofia, who loves the spa/luxury boutique vibe and the fact that it's right by the sea. 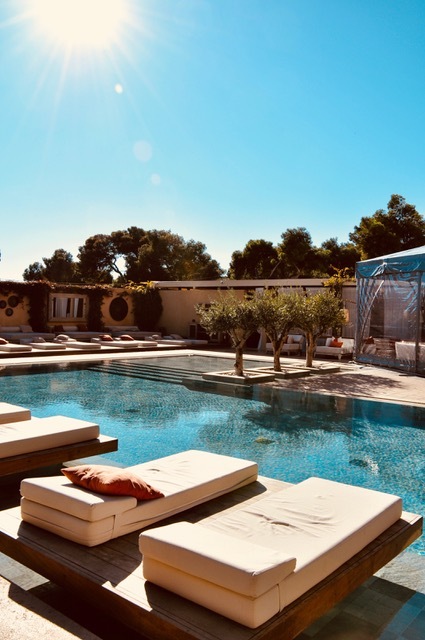 Built on the Athenian Riviera in the late 1960's, the hotel has been welcoming guests into a warm and inviting, hospitable respite from the bustling city for over 50 years. 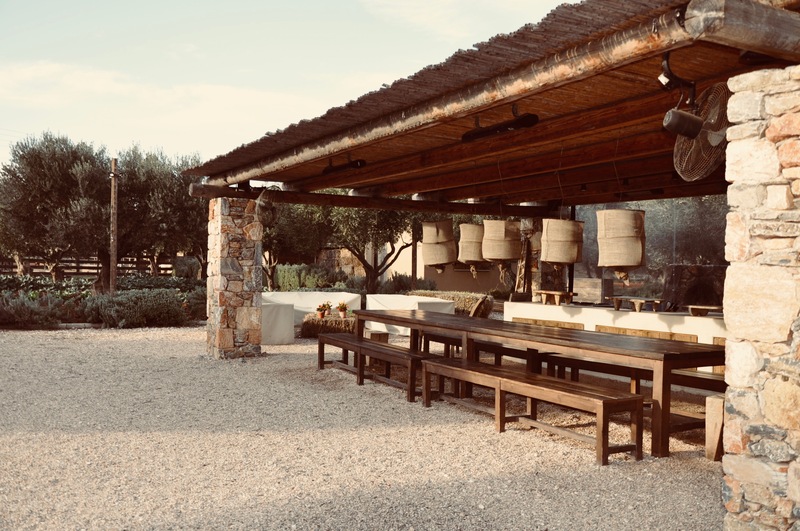 Owned by The Margi Hotel, this farm has been a desired destination for weddings, retreats and events since its opening in 2015. The sprawling land boasts an organic garden, farm animals like chickens, cows and horses, an olive garden and more. Everything is organic and they grow their own vegetables on site. 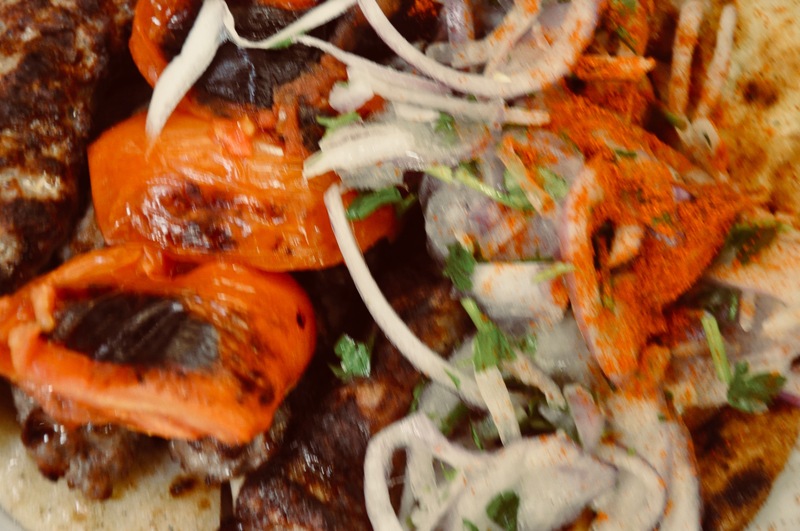 Located in Atiki, near the sea, "farm to fork" is their motto. Sofia stopped here during our PLACES: Athens shoot "for a croissant, which happened to be divine. I loved the bathroom the most. 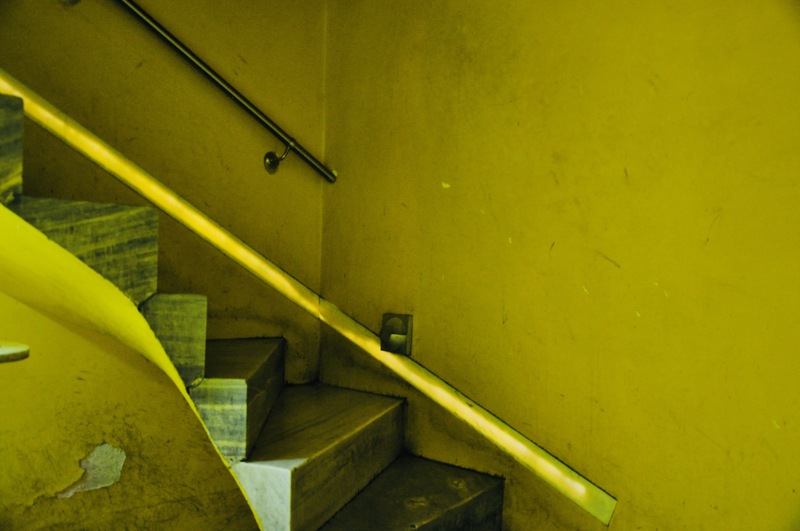 The space is all yellow; like being in a yellow heaven!" 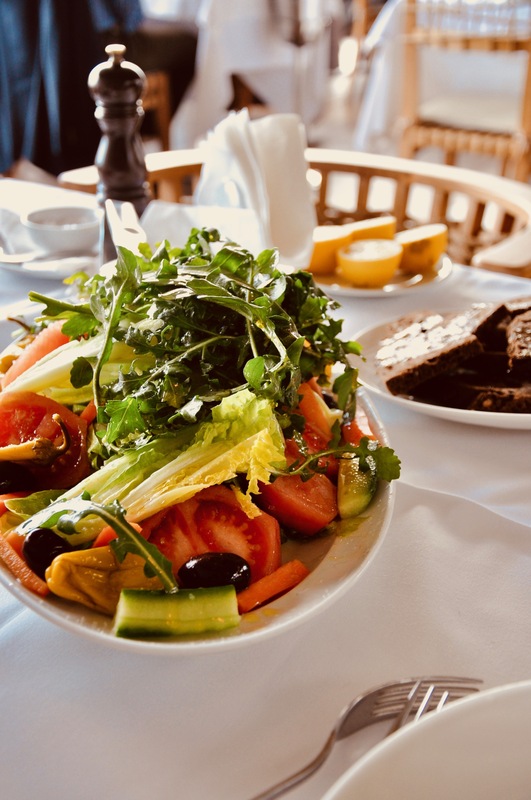 The cafe opens at 9AM and serves breakfast, lunch, dinner and pastries, and offers simple fare, "very Greek in style." 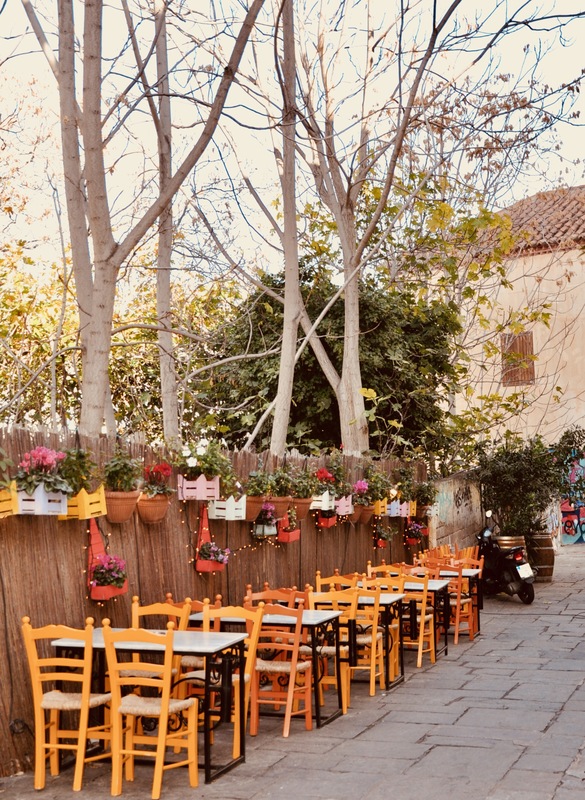 Be amongst locals and tourists alike and stop for lunch at a taverna in Plaka. Sofia explains, "the amazing thing about this area is that you don’t even need to know the names of the places. You just walk around the streets and find what you like." Beware (and embrace) the motorists and cyclists who squeeze their vehicles through the narrow streets ("this is a very classic Athens detail"). This 109-year-old bar and distillery is considered the oldest in Athens. Movies have been shot in this bar, and it has been written up many times. 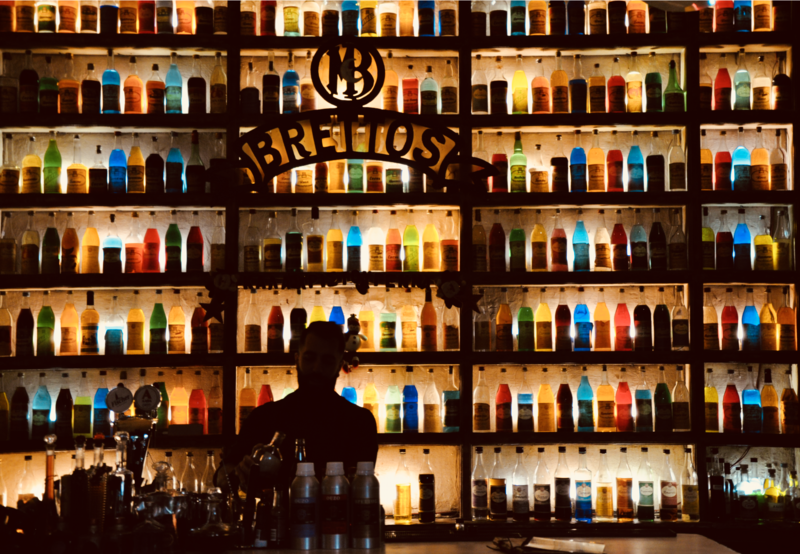 With over 250 cocktails on the menu, and 170 Greek wines, there is something here that will please even the pickiest of palettes. If you're feeling adventurous, try the popular Greek liquor ouzo, which is distilled on site. "Everything is so old and antique-y, but it functions as one of the most modern cocktail spots. They value that history," says Sofia. 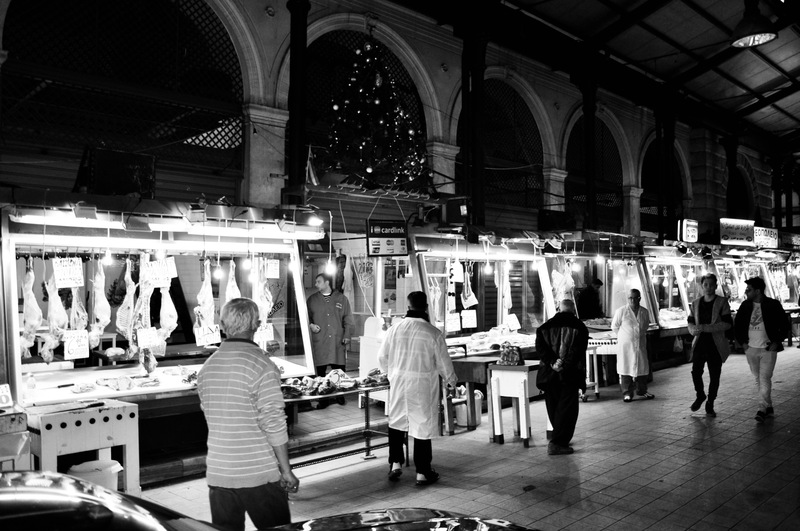 With over 5,000 patrons seated every day, Thannasis Kebab in Plaka is one of the oldest (and best) in the city. A family-run business for 80 years, this is as classic Greek as it gets. Sofia explains that even though it's tourist heavy, it’s trusted, "I would see people come in and say, “Can I have the usual?” and the guy nods." It's just that good. 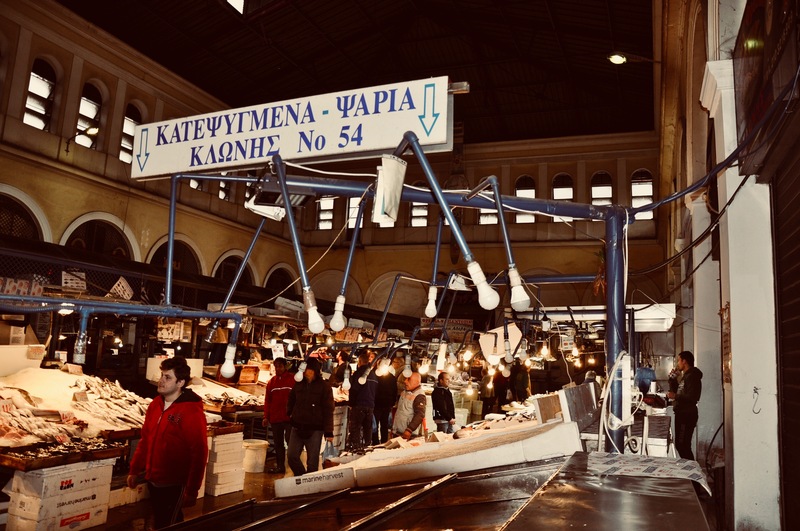 Michelin-rated, Pappaiounou has been famous for "years and years," says Sofia, "this is where you go to eat freshly caught fish and salad". The dishes are "the most delicious you've ever had." Try seafood like mussels or clams saganaki-style, cooked with tomato sauce and feta cheese. This is a perfect spot if you're looking for a chic alternative to the tavernas. For more, discover + shop [PLACES]: Athens, Greece.